Academy Awards host Billy Crystal’s about as fast on his comedic feet as can be imagined, but even he has some help mining for the Oscars’ off-the-moment mirth. Carol Leifer’s been many things in her showbiz career – standup comedian, author, screenwriter and even the real-life inspiration for “Seinfeld’s” Elaine – but few have felt as prestigious as her frequent stint as a joke writer for the Academy Awards. And with just a few days before the gig gets REALLY intense, crafting quips for Crystal in the midst of the ceremony, Leifer gives PopcornBiz the lowdown on finding the funny with a billion eyes upon you. How does the whole process work for you, like, when do you get the call to come on and how do you get started up to where you are right now? This is my seventh time doing it, but it ain't a job for life. Each year that I get the job I'm so grateful because it's really still…they don't just hand this job out pretty easily, and so I'm always honored. It kind of starts about then and Billy [Crystal] is the type of host who hires a lot of different writers. He hires writers who are really the best of the best at joke writing and really can deliver 50 new jokes a day to him. So I'm always impressed that Billy has so much material to choose from. 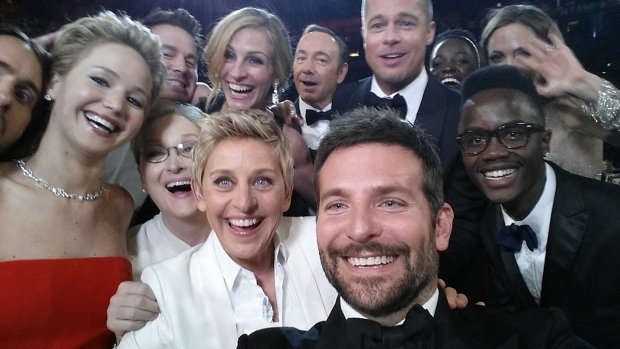 and really, I feel, just whittles it down to on Oscar night it's the best of the best. I also work a lot with the presenters, working on their spiel and what they're going to do. We work on that. It's just a big process of a lot of different writing for the show, but what I think is so nice about working with Billy is there's such a big anticipation for him coming back. He's done it so many times – second only to Bob Hope, obviously – but he hasn't done it for a while. What I'm feeling when I'm out there is that people are really super-excited because he's like a comfort food, Billy Crystal. He's that host that, once you see him come through that curtain, it's going to be a fun Oscars. Is Billy aware of this great anticipation, and is he feeling anxious, excited, like it's no sweat – what's his headspace, as far as you can tell? I think that Billy’s headspace is kind of where it always is: he wants to put on the best show possible. He takes it really seriously. 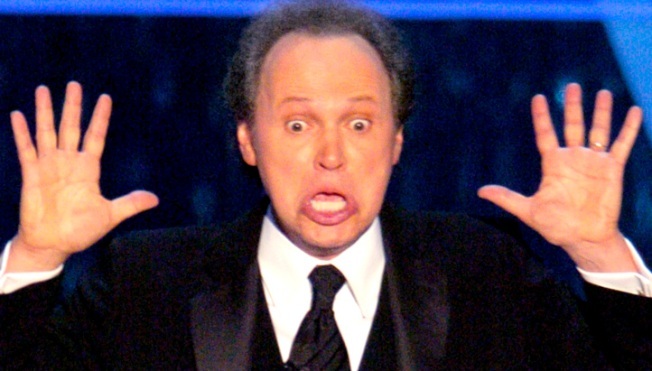 I don't think that anyone works harder than Billy Crystal in getting ready for the Oscars. I certainly see the blood, sweat and tears of it, but I think what's really fantastic about him as a host is that the second the curtain opens and he walks out there he's there to have a good time. He's there to be in the moment and have fun and the audience rides off that wave every second with him. With this year's show what's been easy to write jokes about, and what's been challenging to create jokes about? That's an interesting question. I don't know. I think because every year there's such a different crop of movies it's always fun to write about whatever's out there, whatever is in the zeitgeist fascinating people, but I think that what's good about this year as opposed to others is that nothing is dominating like the years that I've worked on the Oscars – 'Lord of the Rings' dominates or the year that I worked on the show and 'Avatar' was out there, where it can really tip the scale of the show. As far as I'm concerned and the writers have been concerned, anything goes. There are always those surprises and you just write for everything. Can you talk about collaborating with the presenters? I'm sure some are happy with whatever you guys have from them to say, but then are there others that want to roll up their sleeves with you and craft something specific to them? It's an interesting process, because there are some presenters where I'll literally write one draft of something, you get feedback from them that they're happy with it. You see them at rehearsal and then right before they go out and they're ready to go and bam, and it's as simple as that. Then other people that are creative people in their own right, a lot of comedians like to do their own thing. I get that, being a standup comic myself. You also want to make it feel as personal and from you as possible, so there are a lot of people that do that. They do roll up their sleeves and they get into it. I always admire that because they're going out in front of a billion people. You want them to be as comfortable and feeling a hundred percent as anybody could, but it's always a fun process. In a room full of the best gag writers in the business how do you know when something you've written is gold? How can you tell what's going to work? That's always hard to say, because the one thing that I feel badly about the evolution of the Oscars – and it's only because of technology – is the host monologue is always such a key element of any Oscars, and not as long ago as ten years ago the host would take a bunch of writers and he'd go down to The Improv on Melrose Avenue and pop in and do a set and try the monologue and maybe 50 people got to see it. But once the Internet exploded those days are over, even to the point where a couple of years ago I wrote for Steve Martin and Alec Baldwin and they literally tried their monologue on a closed set at the theater with just crew and it still got leaked to the Internet. So I feel badly that the hosts really don't have a place to just kind of get the kinks out and try it, but Billy is such a pro his monologue is going to be great anyway. It's just funny that I've been doing it as long as I have and I've seen the tryout monologue just go by the wayside. When does the monologue become as close to a lock as it can be? I think, probably, literally 30 seconds before the show starts. It's the thing that I love about working on The Oscars. There are a zillion awards shows, but there are only one Oscars. Up until the second that the on-air button goes on anything goes and everything is in flux and you just really never know until it starts. Of your own previous contributions, do you have one written off the cuff during the telecast that's a favorite? Well, in light of what I was saying about anything goes there was one year that Billy hosted: Erykah Badu came out and she had this kind of tall headdress on, and that was also the year that some Oscars had been stolen. So Billy came off stage and said, 'What can we do? What the heck can we do?' I pitched a joke about, like, 'Oh, well, I guess that's where some of the Oscars that were stolen went – in her big headdress.’ Billy went out and he did it. You never know which joke he's going to pick until he goes out there, but it got a big laugh. There's really nothing more thrilling than that for a comedy writer, when the host is pitched ten jokes in a span of ten seconds, chooses yours, goes out and scores with it. It's a thrill beyond compare.